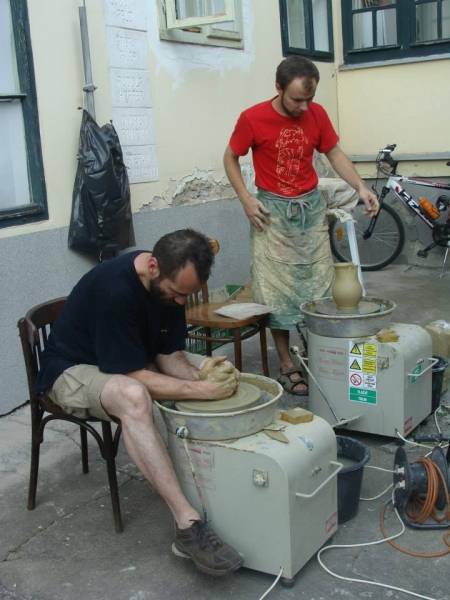 The first part of the exhibition series was named The message of Gemer (Gömör) potters, which drew attention to the old light and reputation of pottery in Gemer (Gömör) and the beauty of their products. 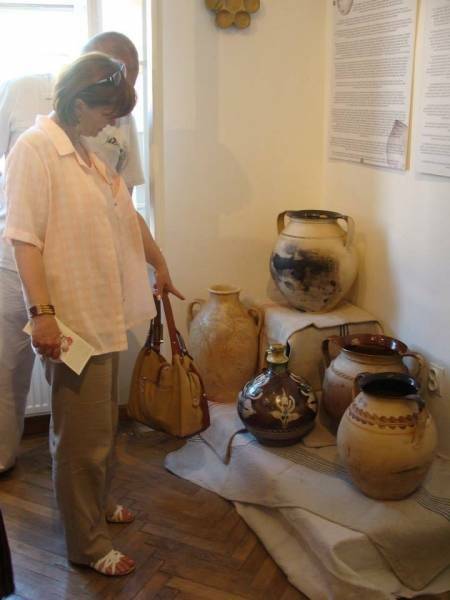 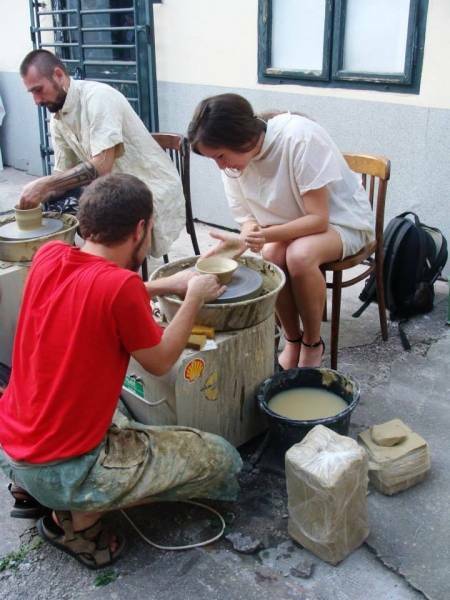 The exhibition was composed of many dozens of valuable exhibits, pots, frying pans, jugs, pitchers, plates and bowls, which can only be found collected in museums. 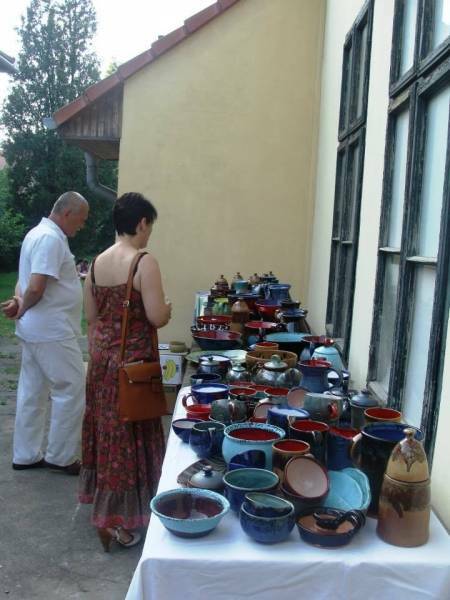 The collection of the Mining Museum in Roznava (Rozsnyó-Rosenau) excels in this field, with hundreds of Gemer (Gömör) pottery products can be seen in the museum gallery. 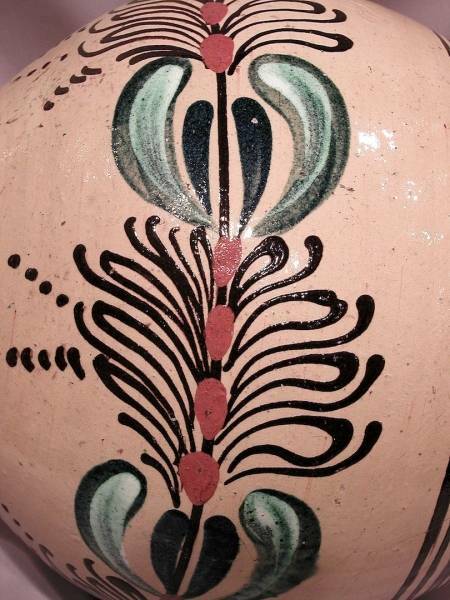 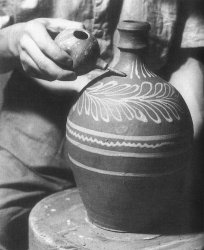 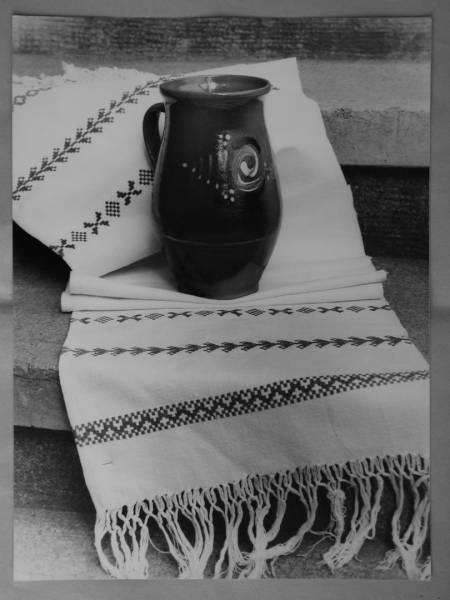 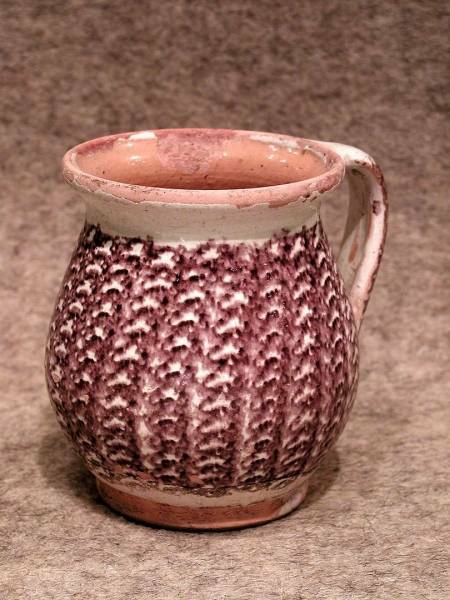 The popularity of Gemer (Gömör) pottery was due to its superior quality and fire-resistant clay, mined directly in Gömör and its expediency. 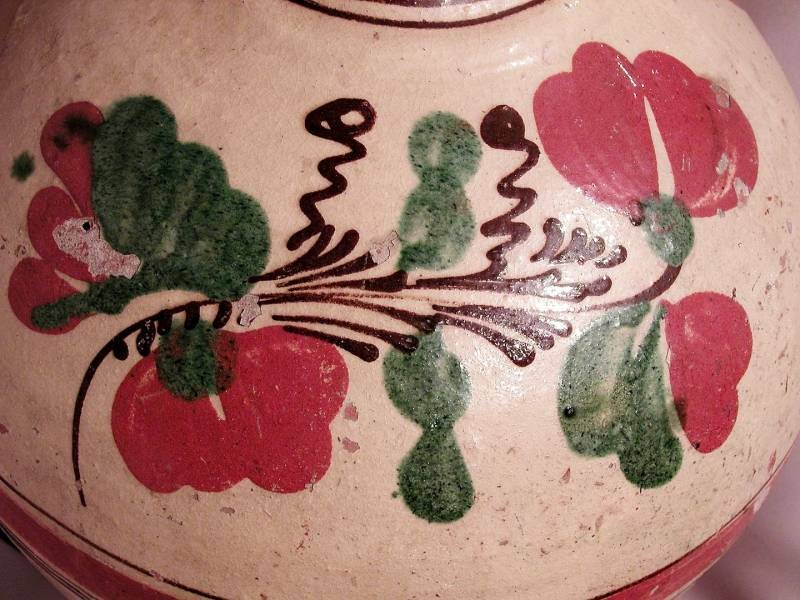 It is also important that these ceramics, which made it to the plains and even more south, were always recognized of their unique painting, the so called stuffled pattern (the surface of the dish was imprinted with the sponge, dipped into glaze).